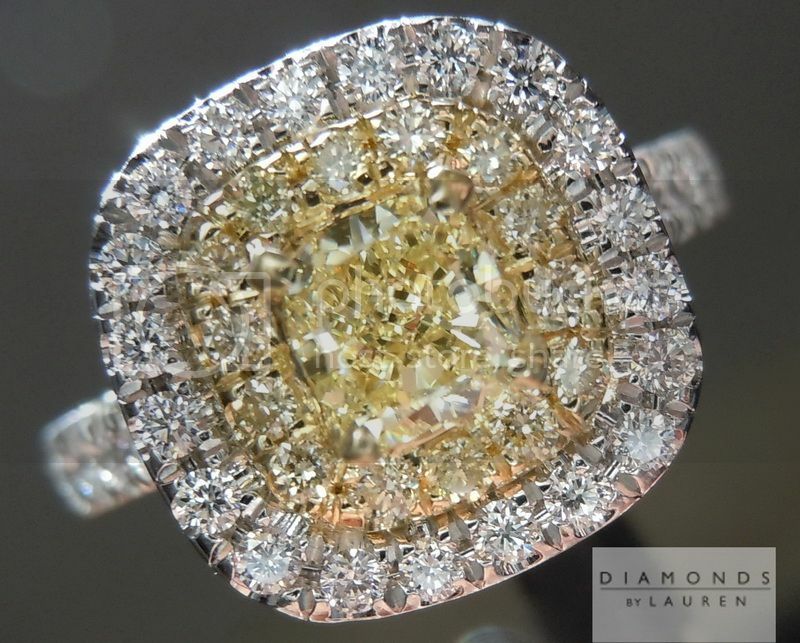 The center diamond in this ring is one of the more deeply saturated cushions in the lot. 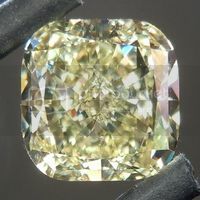 Beautifully cut, and very clean, VS1. 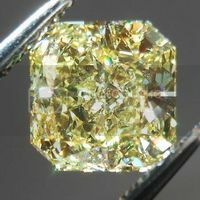 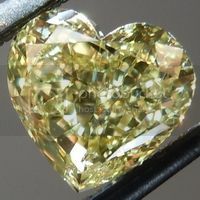 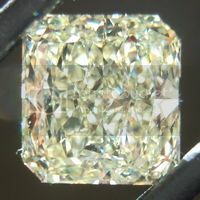 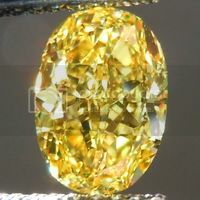 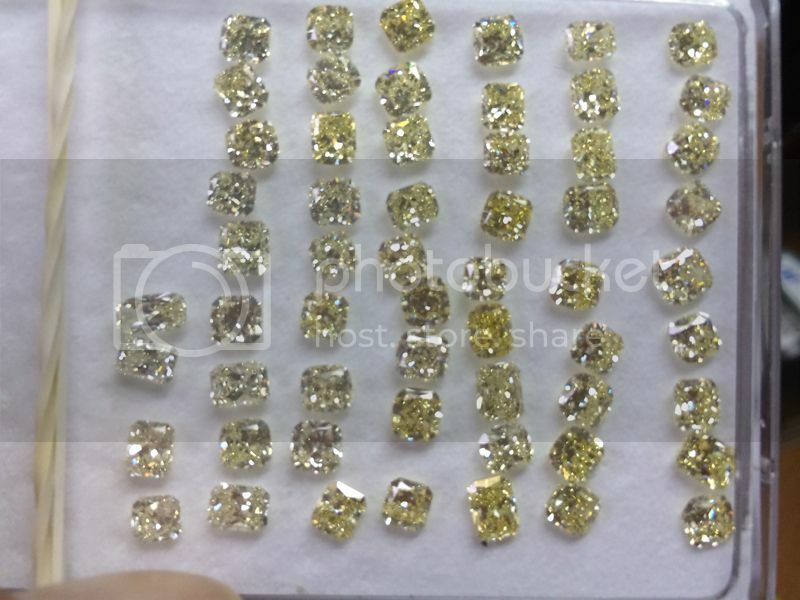 The stone is remarkably lively and the yellow pure, distinct and clear. 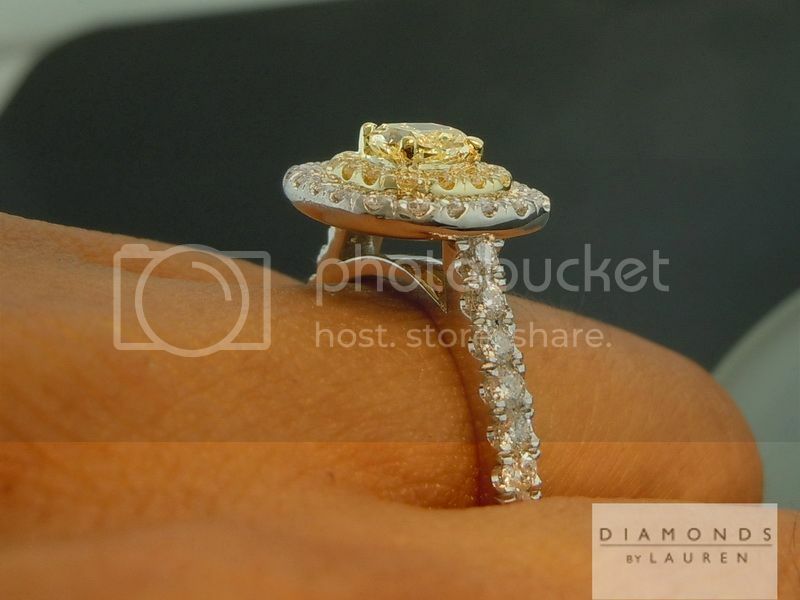 We set her in a handcrafted Platinum and 18kt Double halo ring. 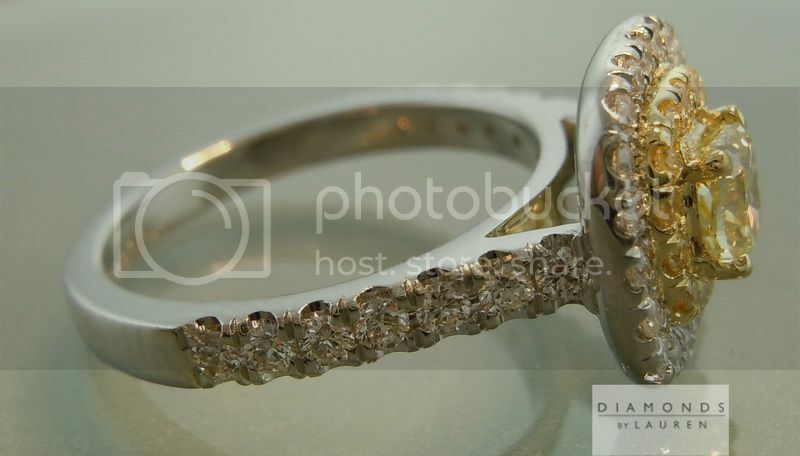 This is quite a heavy duty ring - cast, as opposed to our hand forged models. 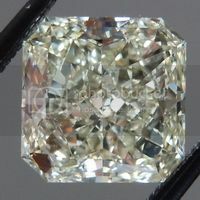 This produces a much heavier piece, with thicker parts, and some people really like that aspect. 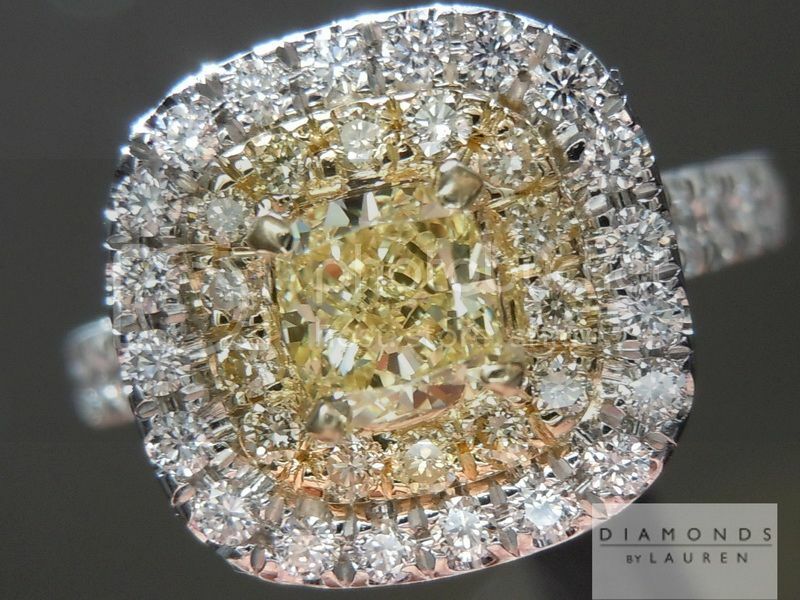 We have had very good experience with the durability of rings made this way. 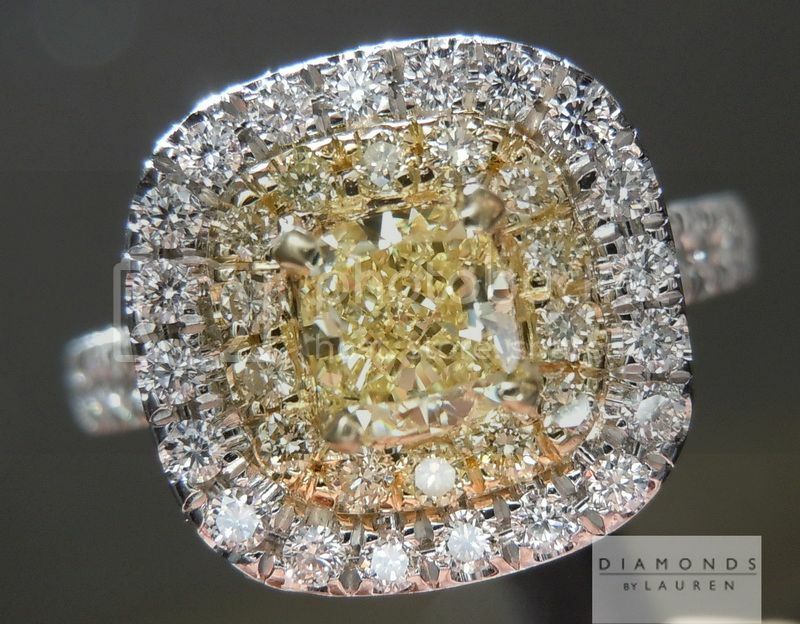 The design will allow for a standard wedding band to sit flush with the ring. 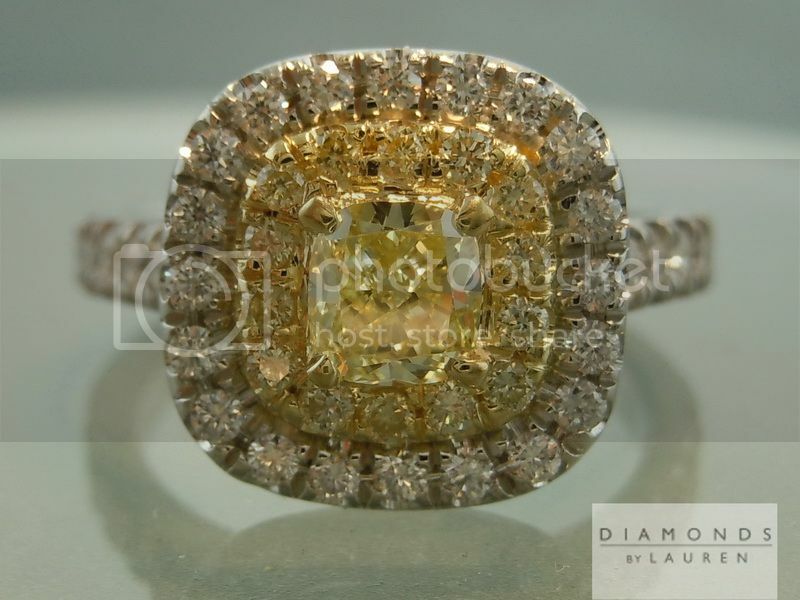 The Canary Cushion Diamond is surrounded by Natural Yellow Pavé - which in turn is surrounded by colorless diamonds. 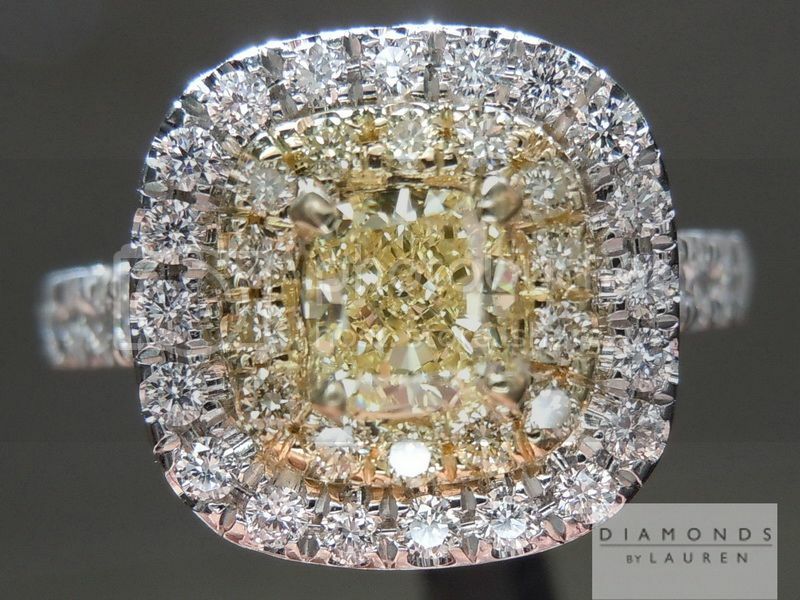 We carefully select totally colorless, extremely well cut round brilliant diamonds - VS or better clarity. 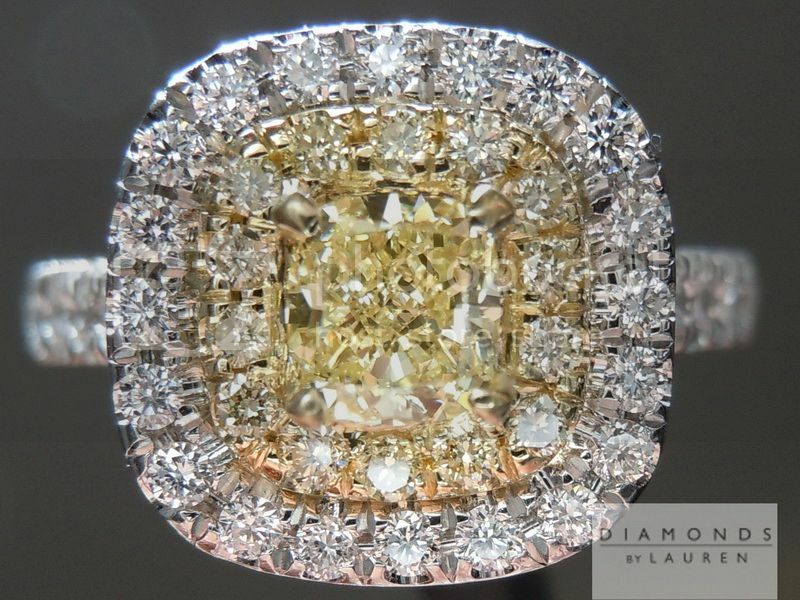 Put it all together, and you have quite an impressive ring - and the price? 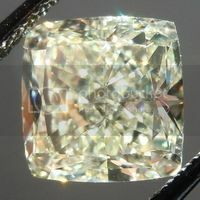 By no means the cheapest out there, but by ALL means a great bargain considering the quality and service you will receive.